Homebuyers want to put a 10% down payment on their home, but that can cost them down the road. Here's how to avoid personal mortgage insurance and other pitfalls. You don't need a 20% down payment to buy a home anymore, but your mortgage won't be nearly as monstrous if you can afford to pay more up front. Mortgage banker American Financing recently conducted a survey examining mortgage, renting, and homeownership trends and preferences across the generations. According to the survey 53% of Americans — including the majority of Millennials, Generation X-ers, and Baby Boomers — prefer a 10% down payment over 15%, 20% or 30%. Well, who doesn't like paying less for something up front? However, as American Financing points out, that approach may underscore consumers' lack of awareness of other factors that influence costs. "While affordable programs allowing a 10% down payment are available and provide an attractive option to prospective home buyers, it's important to consider other factors, like private mortgage insurance, which can play a significant role in the overall cost of a home," said Carrie Niess, business analyst at American Financing. "For instance, the lower the down payment, the higher private mortgage insurance costs can run." It isn't exactly as if aspiring homeowners will have a lot of cash on hand down the road, either. According to the National Association of Realtors, the median price of an existing home is $245,100. That's up 4.2% from last year and represents more than five and a half years of rising home prices. A 20% down payment on that price is close to $50,000, but the $24,500 down payment at a 10% rate isn't exactly chump change either -- not when the median household income hovers around $59,000. That's made first-time homebuyers just 29% of the market, which isn't so bad when you consider the long-term cost of buying a home. Mortgage debt in the U.S. currently sits at $8.7 trillion, which the Federal Reserve Bank of New York points out is the single largest portion of the nation's $12.8 trillion in consumer debt. It's well above the $1.3 billion in student loan debt, which student loan site Cappex says is up to more than $37,000 per graduate, on average. However, while more than 11% of all student loans are delinquent, just 1.5% of mortgages are similarly past due. While Freddie Mac says rates for a 30-year fixed-rate mortgage are still favorable at 3.9%, it would be helpful if most first-time homebuyers knew what that meant. While a majority of Americans (56%) who are looking to purchase a home in the next five years pay attention to mortgage interest rates and their fluctuations over time, 23% of Americans do not understand how interest rates work. Millennials are the least likely to understand at 26%. "For Millennial renters who are already concerned about college debt and the rising cost of living, lacking a fundamental understanding of mortgages can be a significant barrier to purchasing a first home," says Niess. "That's why it's crucial for younger generations to educate themselves and learn about their options." That's pushed 32% of homebuyers, including 56% of Millennials into mortgage affordability programs offered through both banks and the federal government. "It's encouraging to see millennials thoughtfully prepare to enter the housing market," says Scott Haymore, head of pricing and secondary markets at TD Bank. "With today's affordability programs, owning a home doesn't have to be a dream, it can be a reality." Eric Meermann, certified financial planner and portfolio manager with Palisades Hudson Financial Group in Scarsdale, N.Y., notes that the Federal Housing Administration offers insured loans to buyers who can only afford very small down payments, -- sometimes as little as 3.5%. That mortgage comes with a lot more paperwork and a higher interest rate than those of a traditional mortgage, but just about any lender can help you get an FHA mortgage. Just know that any time a down payment is under 20%, you're going to have to pay private mortgage insurance (PMI), which can jack up your monthly payment. There are ways around PMI, but they aren't always pretty. "Consider a 'piggyback' mortgage, which lets you take out a second mortgage to cover part of the down payment," Meermann says. "These arrangements avoid PMI, but typically involve higher interest rates than single mortgages." Another option: bringing on a cosigner. Nearly 25% of Americans (including 42% of Millennials) share a mortgage with someone other than a spouse -- including parents and siblings. 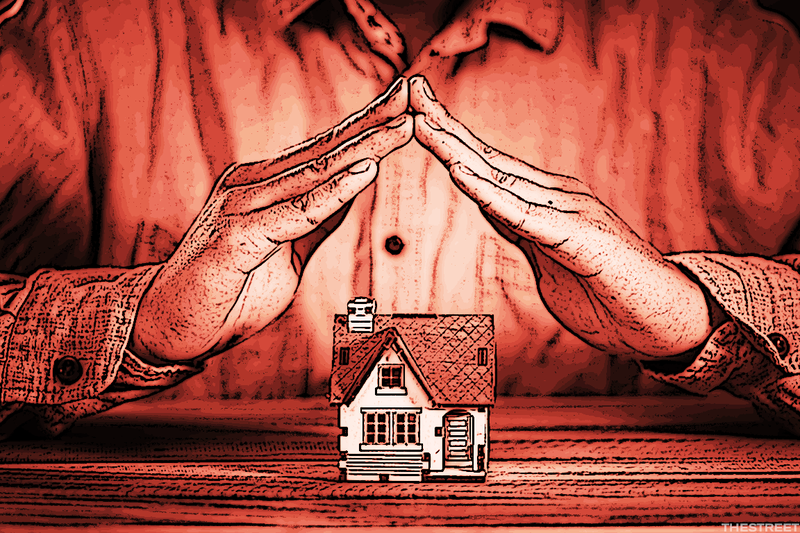 However, before you latch your well-being to someone else's finances, Meerman says homebuyers should figure out exactly what they want to accomplish with their mortgage. Do you want to save money, minimize interest, tamp down monthly payments, maximize equity, eliminate debt quickly? Where you stand financially may dictate your mortgage priorities, First-time homebuyers in their late 20s to mid-30 may have it the worst, as there are many ways to determine the down payment and monthly payment you can afford. Adjustable rate mortgages (ARMs) are appealing for homebuyers who aren't looking to settle down for decades at a time, but they're trickier for folks who are in it for the long haul. With mortgage rates already incredibly low, there's a very strong chance they'll only get higher in five to 10 years. "The costs of running a household can be a shock to new home owners," Haymore says. "Monthly expenses for utilities, homeowner's association fees, cable and internet, can add up quickly. Factoring these in at the beginning of the mortgage process can help borrowers assess their overall budget and determine a realistic monthly mortgage payment." If you're in it for more than five to ten years, the best bet is still a 30-year fixed-rate mortgage. With rates hovering around 3.5% it's a great way of locking in that rate until you pay off your home. Unfortunately, it's also a great way to pay a whole lot of loan interest, which is why 20- or 15-year fixed-rate mortgages have become more appealing. "But a shorter term means significantly higher monthly mortgage payments, even if the rate is lower," Meerman says. "You'll also have less liquidity." Whatever you do, don't pay points on your mortgage at closing. It gets you a lower interest rate and lower monthly payments, but paying interest up front means that you'll lose they interest you're paying if you sell the house before the mortgage term is up. Also, don't go into an interest-only mortgage if you can avoid it: You build no equity at the start of the loan, and any decline in property value will be tremendous. Finally, stay away from a "balloon payment" mortgages, as it'll require you to pay out a lump sum at the end of the mortgage. However, if you get into your late 30s and 40s and suddenly have a bit of a cushion, don't just go making extra mortgage payments because you can. Most loans don't have penalties for early payments (but check if yours does just in case), so if you're just going to stick that money in a money market or savings account, you may as well try to pay off your mortgage earlier. However, if your extra money would be headed for a 401 (k), Roth IRA or 529 college savings plan, consider making the investment instead. "Many could pay their mortgages down faster than required, but it's not necessarily a good idea," Meerman says. "If the expected rate of investment return is higher than the mortgage interest, including the benefit of deducting that interest, you benefit from leverage." Finally, there's the opportunity for everyone to refinance under low rates. If you're refinancing a 30-year mortgage you've held 20 years, for instance, consider a 10-year fixed-rate mortgage. A home equity loan (second mortgage) or a home equity line of credit (HELOC) can be useful if you're the kind of person who can pay it back quickly. However, we aren't so far removed from the housing crisis that homeowners should feel comfortable throwing around home equity. Homeowners and homebuyers are still haunted by the memory of "underwater" homeowners during the recession being stuck with homes worth less than they owed in loans.With the U.S. housing crisis at its depths in 2012, according to RealtyTrac, more than 12.8 million U.S. homeowners (29%) were seriously underwater. By the end of last year, that number fell to 5.4 million (9.6% of all mortgaged properties), while the number of equity-rich homes (with at least 50% positive equity) has climbed to more than 13.9 million, or 24.6% of all mortgaged properties. The number of equity rich homeowners has increased by nearly 4.8 million over the past three years, a rate of about 1.6 million each year. If they borrow against that newfound equity and can't pay it back, however, a home equity line of credit can be a nightmare. "It can be tempting to view a home like a personal 'ATM,' but if the home's value suddenly falls, it can be a bad situation," Meerman says.